Discover the “City of the Three Cultures” in just one afternoon! Ideal if you're in tight schedule. Departs at 3pm. INCLUDES Round-trip bus to Toledo. 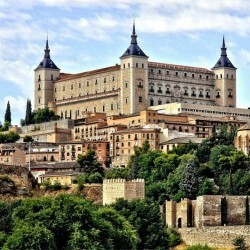 1 hour guided walking tour in Toledo. Bus Panoramic Tour of Toledo and stop at Mirador del Valle. Breathtaking views! For those who prefer visiting the city “by their own”. Includes a walking tour with an official guide. World Heritage Site from 1986. Discover the the best roman aqueduct and the city of Ávila in just one day! Ideal if you're in tight schedule. Departs at 9 am. INCLUDES Round-trip bus from Madrid. 1 hour guided walking tour in Segovia. 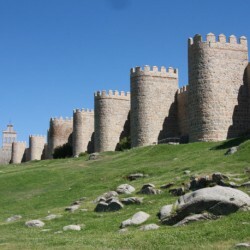 1 hour guided walking tour in Ávila.